Famous hot chocolate meets high fashion as Angelina takes its Hot Chocolat L’Africain trolley to the Vogue Fashion Dubai Experience (VDFE). The two-day celebration of fashion is organized by The Dubai Mall and Vogue Italia under the umbrella of the Dubai Design & Fashion Council on October 29th and 30th 2015. Angelina’s chic Parisian roots make the tearoom an ideal partner for the VDFE experience. 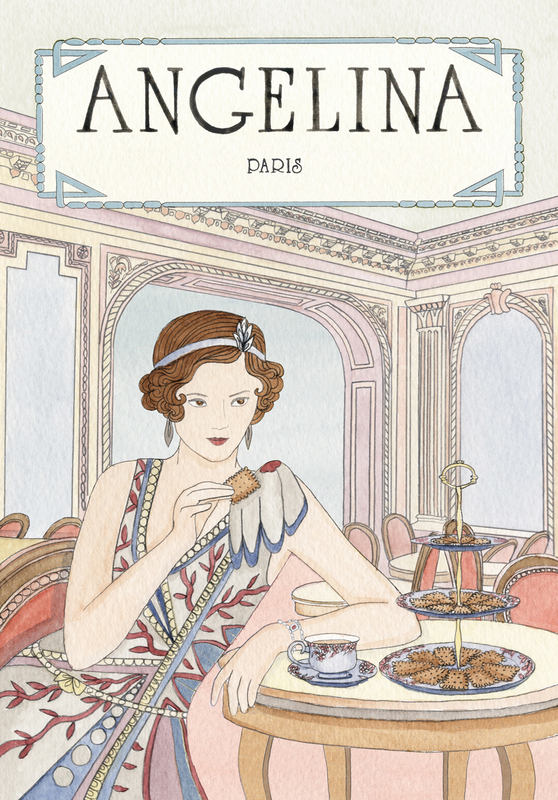 Fashion icon Coco Chanel was a regular at Angelina’s original Parisian tearoom, and was a fan of the Chocolat L’Africain. Angelina is no stranger to fashion and haute couture. The famous tearoom has long played to Parisian aristocracy, writers, thinkers and fashion designers. The tearooms in Paris were given their distinct elegance by famous Belle Époque architect Edouard-Jean Niermans. In the UAE, Angelina tearooms are situated in the high fashion districts of the Mall of the Emirates, Dubai Mall and Yas Mall. “As the world’s fashion cognoscenti descend on Dubai for a spectacular celebration of high fashion and creativity, it is only natural for Angelina to add gastronomic chic to the event. 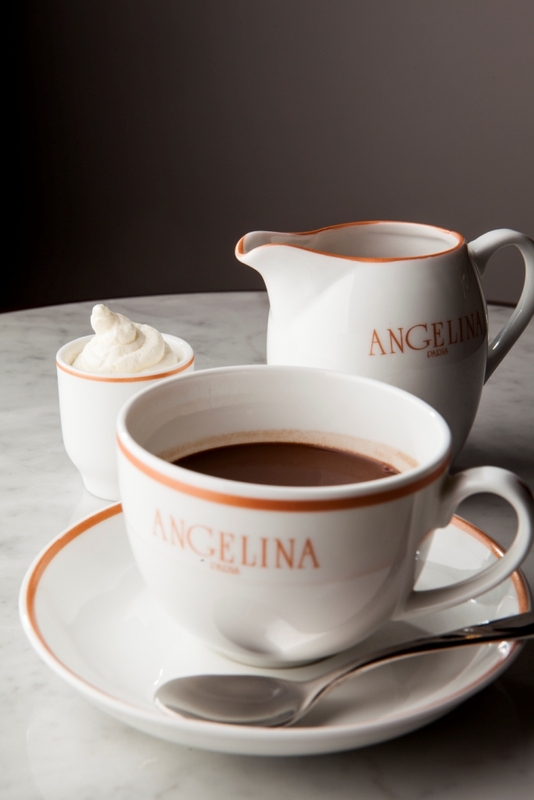 The celebrities and VIPs flying into VFDE are well aware of Angelina and the history of its iconic hot chocolate. We want to bring that experience and legacy to a local audience as well,” says Angelina’s Executive Chef Tarun Sharma. The famous “African” hot chocolate is composed of three carefully selected varieties of African cocoa from Niger, Ghana and Côte d’Ivoire. 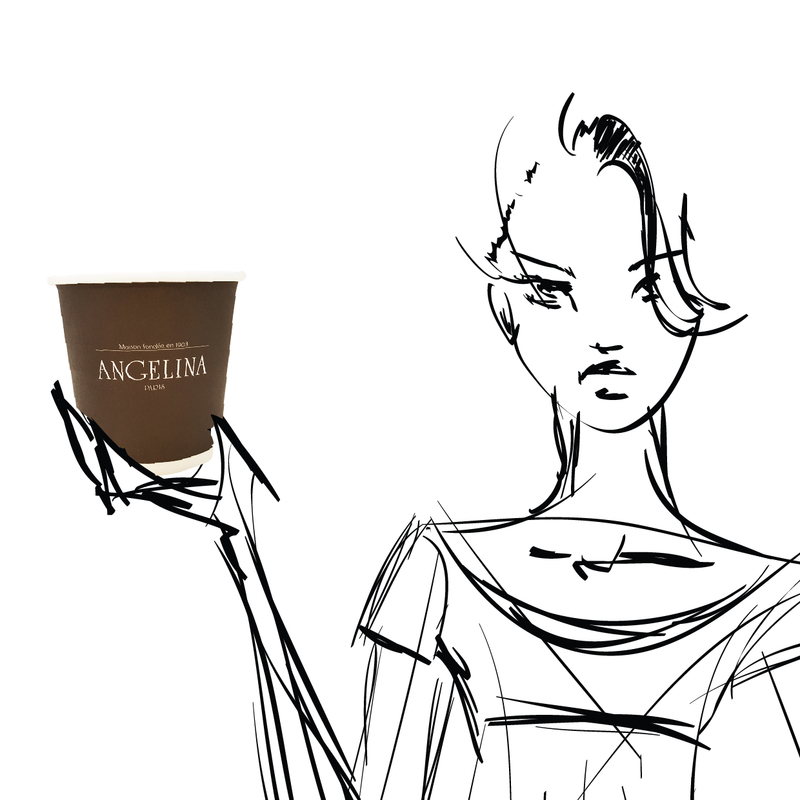 It’s the combination of these premium flavours from different lands that lend Angelina’s Hot Chocolat L’Africain its exceptional taste and distinctive character. The Hot Chocolat L’Africain trolley will be made available before and after fashion shows, and will be at hand at the Fashion Talks. The Angelina tearoom in The Dubai Mall is located adjacent to the VDFE fashion show stage, perfectly synthesising elegant desserts with the latest sartorial creations. The hot chocolate trolley will sit next to a historic tableau arrangement where visitors will experience the heyday Angelina back in the day. Guests will be instantly transported to Angelina, Rue de Rivoli where the Parisian tearoom icon all began making this a perfect photo opportunity for every fashionista passing by. VDFE is the largest fashion event of its kind in the Middle East, and celebrates emerging and high-end fashion as well as lifestyle. Activity on the catwalk is complemented by Fashion Talks and the first edition of the “Who is On Next Dubai” contest that scouts the next big fashion designer from the MENA region.